OK, that little post about a letter my brother got from Justice Antonin Scalia about states seceding from the nation seems to have set off quite a bit of activity on political blogs. My guess is that, given the nature of the newcomers, last year’s Sonia Sotomayor posts, one of which ended out in a Washington Times editorial, will be of some interest. Though my appearance in an editorial for the Economic Times of India (regarding George Bush’s dog, go figure), might be a close second. And feel free to add me to your RSS feed, or follow on Twitter (@Turkewitz). The price is double what you’re paying now, but I think I’m worth it. I seriously think that if-when there is a revolution in this country because we've been denied our rights under the constitution, the likelihood of secession will be written into an amendment once we rescue it to prevent it's being trampled from happening again… if the states can secede then it greatly diminishes the power of the fed over us. Oh please. There will be no succession in this country. A political reformation is more likely. Although if the pols would stop and think of the good of the citizens of this country and not look toward the next election, things would work better. Thanks Eric for the letter posting. I printed off and will share it with the local bar group when next we meet. I am a semi regular reader of your blog. Keep up the good work. Hope your making some money at your practice. Take care. I suggest that the 'consent of the states' for secession is contained in Artivle IV, Section 3. Simply a reversal of the admission process for new states — at Territory applies for admission, the Congress (the representaves of the states) debate and vote on allowing that state to become a member of the Union. Reverse the process, i.e. a State with the concent of its citizens applies to be removed from the Union, the Congress debates it (and I would assume resolve common property and contractural issues, and then votes on petition of said state(s). IMHO, it can be done constitutionally, but Unilateral Secession was never envisioned by the Framers. Say what you will about Justice Scalia, his letter to your brother was pretty cool. 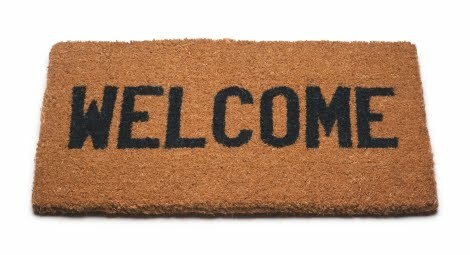 I like your welcome mat, by the way; mine has a few more skulls on it.